One of my two main goals for my time off is to build a Teardrop Trailer with my dad. (The other main goal is to relax.) Here’s a little background on the concept, reasons and plans. 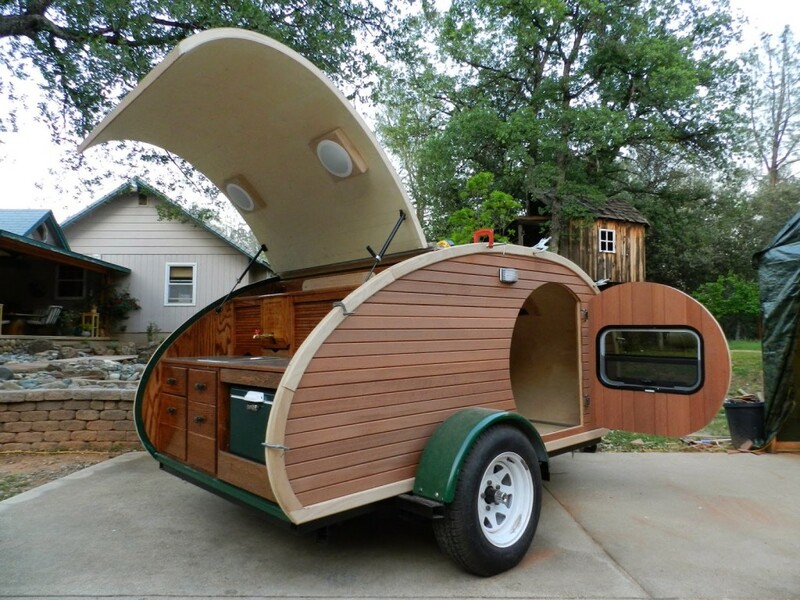 Teardrop Trailers got their start many years ago and are known for being a compact camping trailer with an interior cabin (think of what would be in your tent, only with real walls and a frame below you instead of hard ground), a galley style kitchen under the rear hatch and the ability to tow it even with a small vehicle. Early plans are detailed in this 1947 copy of Mechanix Illustrated. They are also popular for being homemade – each design custom to the owner’s preferences and actually being fairly inexpensive – at least compared to some of the pre-fab ones out there. I’ll be towing mine behind my 2012 Jeep Wrangler which can handle a lot more weight, but the idea of having a small, yet rustic mobile home – a quick and easy way to get away for the weekend – as well as a potentially safer place for my pets and belongings, make this something that really appeals to me. I originally intended to build an Explorer Box, something to tow behind the Jeep and store the many things I had to take along on a trip – including the potential for a kayak and/or bike rack (or both) on the top/back/front. With that in mind, I purchased a 4×8 Harbor Freight trailer about a year ago and reduced its length to 6′ by cutting some of the metal support bars. Now, my life has changed a bit and I’m looking less for storage (I have plenty for myself in the Jeep) and more for something that will keep me from setting up a tent every night on a road trip, something that will be “home” when I’m not at home and something that will be fun and interesting. I don’t have any official plans for my own trailer right now but am basing the design and inspiration off of several resources I’ve found online. It will be a challenge and an adventure to build. I’ll be sure to share the progress here on the blog.